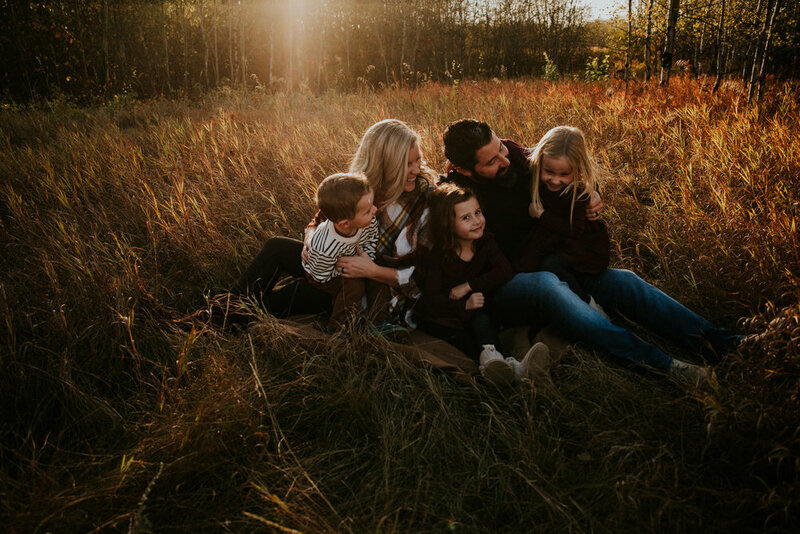 These sessions are all about real, honest connection, not about everyone smiling and saying cheese (and stressing out when the kids aren't cooperating). Don't get me wrong, we'll get a few of those Christmas card photos... the ones that Grandmas love, where everyone's face is visible and the kids *appear* to be behaving. But that's not what we're here for. Life inspired sessions are all about capturing your love and connection. In fact, I'd prefer you not even look at the camera unless I ask you to. Just pretend I'm not there and snuggle your babies and love on your partner. A “life inspired” session is about finding the belonging between people. It’s about new parents staring at their newborn while she sleeps. It’s about dads giving piggyback rides and moms blowing raspberries on round little toddler tummies. It’s about exalted moments like breastfeeding and quite moments of a mom snuggling a tired toddler, and every single silly, joyful, magical, comical, crazy, painful, and ordinary moment in between, because you know … you KNOW, that all those moments are equally important in this journey we call life. The purpose is to capture the spirit of your family in a natural light photo shoot in your home or at your favorite outdoor spot. This 2- hour unposed session will tell the unique story of each family member and the bonds they share. *You will be provided an online gallery with all the usable images from your session. You can then choose your images that are included with your session and the option to purchase additional images is available. Please inquire about pricing packages. After your session is complete your gallery will be ready within 2-3 weeks. Looking to capture some great updated photographs for printing and displaying in your home? Or maybe you are looking for those perfect shots of your little ones for grandma? Family portrait sessions are always fun! I capture your family in a moment in time at a location chosen by you and I together. I love seeing my return clients each year as their kids grow or even their families! Come dressed comfortable and prepare to relax to soothing music and take in how sweet your little baby is!